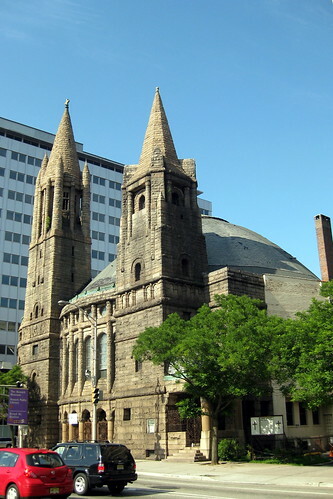 The First Baptist Peddie Memorial Church was first organized in 1801 as the First Baptist Church of Newark when part of the congregation of the Lyons Farms Baptist Church split. Services were held in the White School house until a church was built in 1806. A new building was dedicated in 1869 before being abandoned. The current structure, at 572 Broad Street, was built in 1890. 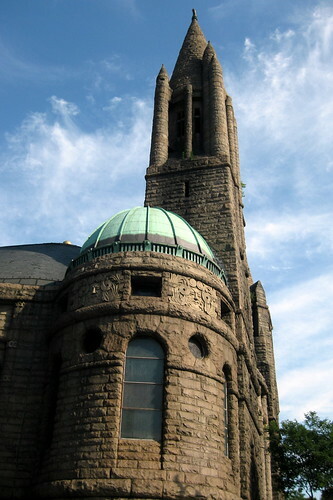 Designed by William Halsey Wood, the edifice was a gift of Thomas B. Peddie, who served two terms as Mayor of Newark and was later elected to Congress, representing the sixth district of New Jersey. grundtvig memorial church, copenhagen, denmark 1913-1940.
interior, looking into the nave from the entrance below the tower. p.v. 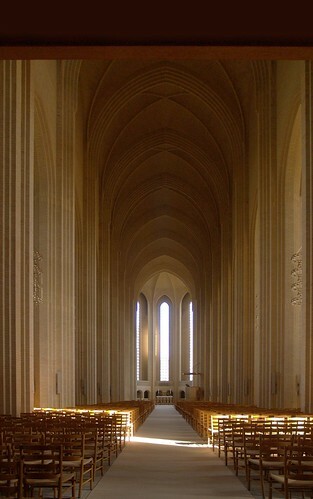 jensen-klint died nine years before the completion of the nave and his son kaare klint, best known as the father of modern danish furniture design, took over. his church chair became one of his most successful designs and was chosen by sigurd lewerentz for his st petri church in klippan, sweden. p.v. 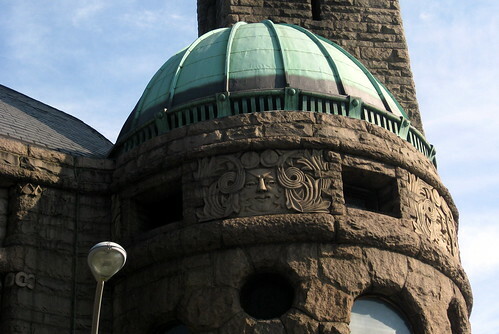 jensen-klint’s influence extended way beyond the impact of this one building. his polemical writings and teaching resembled contemporary german debate in placing building or bauen above academic architecture (even mies van der rohe was keen on that distinction), and klint was instrumental in the forming of "bedre byggeskik", a society of architects supplying master builders and craftsmen with pattern drawings of good, "anonymous" architecture. and his brick poetics became very important for the resistance to modernism in denmark – or the alternative modernism which formed here, if you like. except for early jacobsen, the international style played little part in danish architecture until after WWII. even edward heiberg, teacher at the bauhaus, built using exposed brick when working in copenhagen. the jensen-klint set so far. 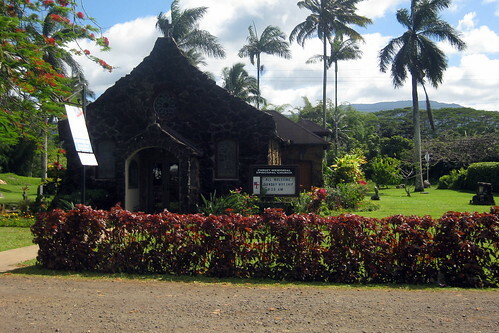 Christ Memorial Episcopal Church, at 2509 Kolo Road, was consecrated on January 19, 1941 on land deeded by and using native stone donated by the Kilauea Sugar Company. The church’s origins date back to as early as 1888 with the worship services held in Kilauea under the direction of Bishop Willis, who was sent to Hawai’i by the Church of England. The stone building is known for its beautiful stained glass windows, which were made in England and restored in 1968.